Pink Floyd reunion: David Gilmour, Roger Waters to perform live in Palestine soon? Waters, 73, has lent his support to the Palestinians and vehemently criticised the Israeli atrocities. Pink Floyd legends David Gilmour and Roger Waters could be seen together, along with drummer Nick Mason yet again, in another once-in-a-lifetime live performance very soon. The venue possibly could be Palestine. The motive of the event possibly is to spread awareness of the ongoing atrocities against the women in Gaza by the Israeli Defence Forces. Waters, who recently criticised American Republican Presidential candidate Donald Trump, took to social media yet again to express solidarity for the Women of the Gaza Freedom Flotilla, a humanitarian organisation by the Free Gaza Movement. The Israel navy recently detained a boat carrying pro-Palestine women activists and put them in detention for reportedly trying to break the government blockade of the Gaza Strip and deliver aid to the besieged Palestinians, according to the Associated Press. The incident was condemned by the legendary bassist. 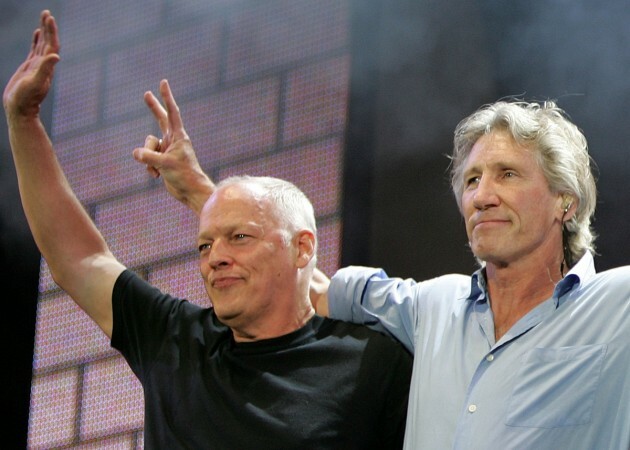 "Pink Floyd reunites to stand with the Women of the Gaza Freedom Flotilla," Waters wrote on Facebook on Wednesday. "David Gilmour, Nick Mason and Roger Waters stand united in support of the Women of the Gaza Freedom Flotilla, and deplore their illegal arrest and detention in international waters by the Israeli Defense Force," he added. Waters has actively lent his support to the Palestines, who are at the receiving end of attacks from Israel. The 73-year-old musician, who recently performed in Mexico City, has been a vocal over the issue of Palestinian rights and has slammed Israel on many occasions. It will be interesting to note if this development sees a reunion of the Pink Floyd in a live event. Gilmour, Waters, Mason and the late Richard Wright performed together for the last time at the O2 Arena in London in 2011, and since then, the stalwart musicians haven't been seen together. Can a political issue now regroup them and make them keep aside their personal differences aside for a greater cause? That remains to be seen.